When we last checked in on Glenn Beck, the baby-faced conservative host was being credited as a "paid spokesman" for Goldline, a gold-coin vendor, even as his employer, News Corp.'s (NWS) Fox News, was saying its personalities aren't allowed to make product endorsements. Clearly, something had to change. And now something has. In response to inquiries from DailyFinance, Fox's legal department sent a letter to Beck's agent, George Hiltzik, laying out the network's position. Now, as The New York Times notes, Goldline has subtly reframed the nature of its relationship with Beck. 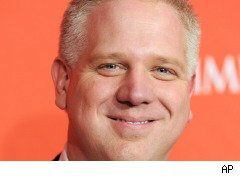 Beck's face still appears all over the Goldline website, most notably on a page declaring, "Goldline is Glenn Beck's Choice for Gold." But that page no longer describes him as a "paid spokesman." Instead, it calls him a "radio sponsor for Goldline" -- a designation that's apparently more consistent with Fox's policy, which allows for "live reads" of commercials by its hosts on their radio shows. It's a little confusing, though -- because isn't it Goldline that sponsors Beck, rather than the other way around? And for Beck to let Goldline continue to use his image on the Web pretty clearly goes beyond a mere radio-show sponsorship. Still, the change is enough to allow us to say: DailyFinance gets results!